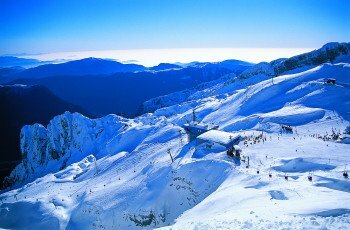 Elevated between 3619 ft and 7546 ft, the Ski Resort is the highest elevated Ski Resorts in Friuli-Venezia Giulia. The vertical drop from summit to base is 3927 ft. 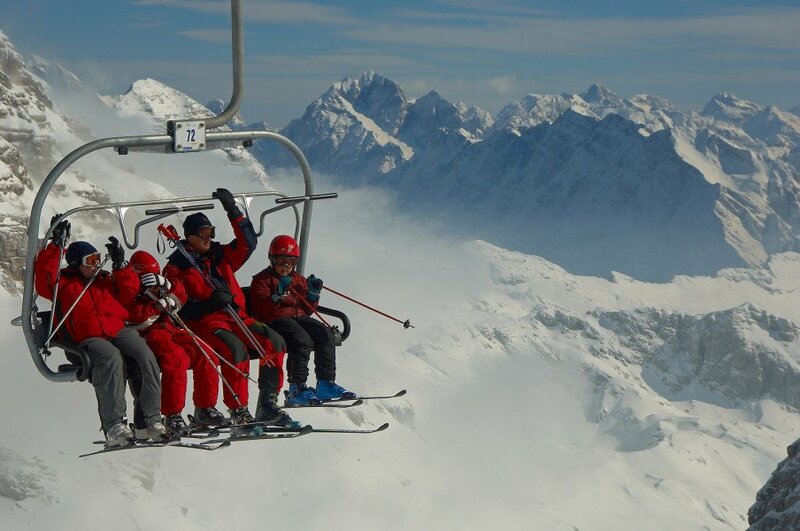 The average difference in altitude between base and summit of Ski Resorts in Italy is 3087 ft.
Sella Nevea - Bovec Kanin is the the best rated ski resort in Friuli-Venezia Giulia. Season starts on Dec 1 and ends on Apr 21 (141 days). Average season duration in Italy is 130 days. Average snow depth during the season (Dec 1 to Apr 21) is 89 " at summit elevation and 19 " at base elevation. Snow coverage is usually best during March, offering an average snow depth of 111 " at summit elevation and 24 " at the base. 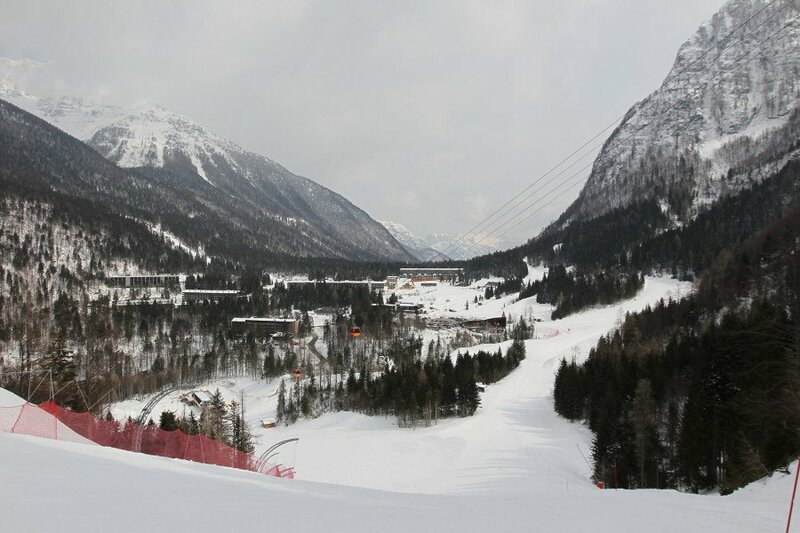 This makes Sella Nevea - Bovec Kanin the ski resort with the best snow conditions in Friuli-Venezia Giulia. Sella Nevea - Bovec Kanin features 79 sunny days on average per season. 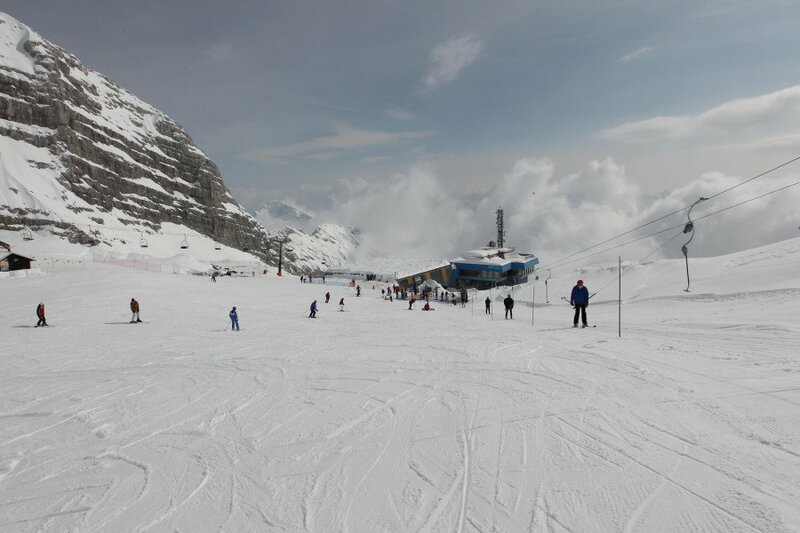 The average for all ski Resorts in Italy is 87 sunny days. February is the sunniest month with an average of 22 sunny days. Offering 19 miles of slopes and terrain, Sella Nevea - Bovec Kanin is among the 3 largest Ski Resorts in Friuli-Venezia Giulia. 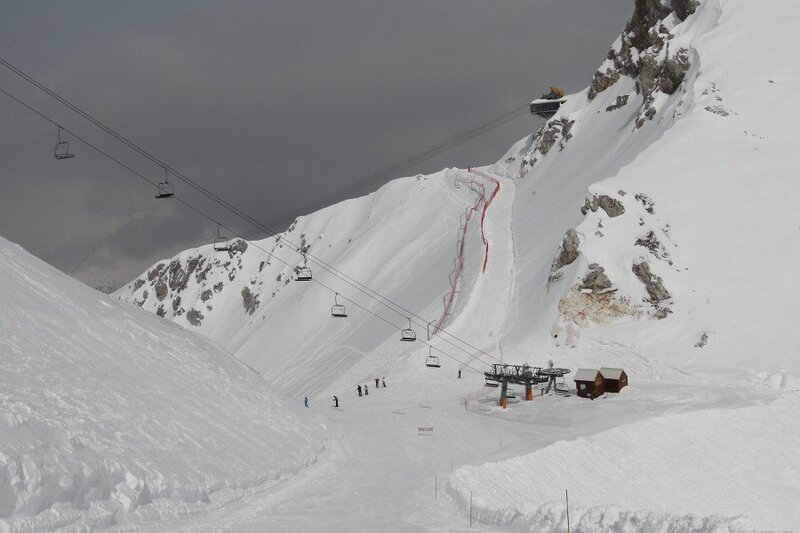 Through the chair lift at Sedlo mountain the two ski resorts Sella Nevea and Bovec Kanin are connected and come up with 30 km of slopes with different levels. 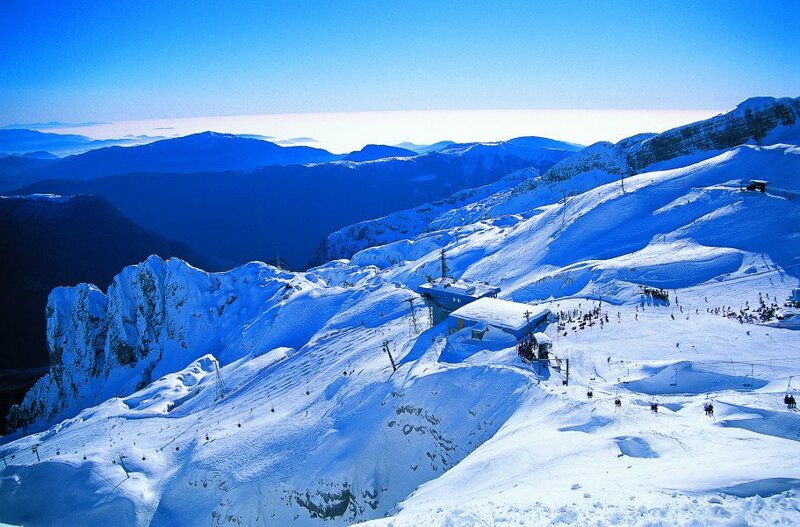 As the resort is located at the border between Italy and Slovenia it´s an international ski area. In Sella Nevea as well as in Bovec you can buy lift passes for the whole territory. This region of the Julian Alps is a very snowy area. That´s why the snow cannons that are producing artificial snow aren´t used often and why the season in Sella Nevea - Bovec Kanin starts usually in late November and ends in May. 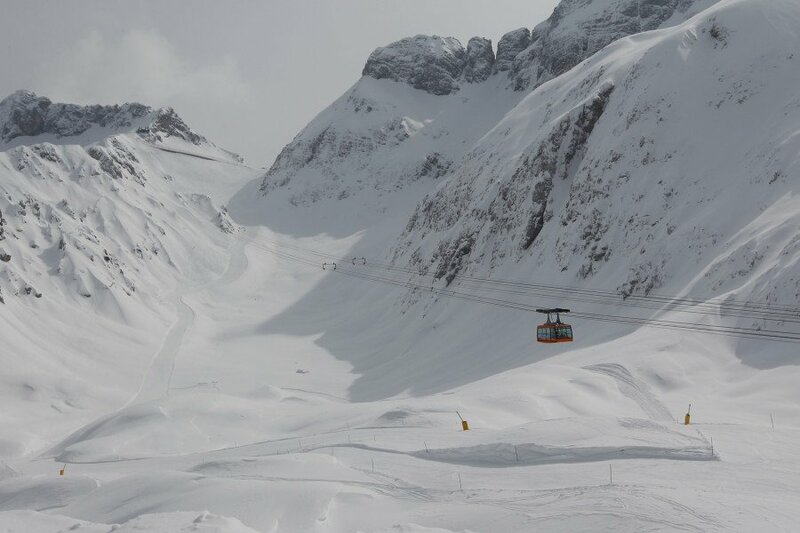 Overall there are 12 lift facilities that take skiers to the slopes running between 1150m and 2100m. 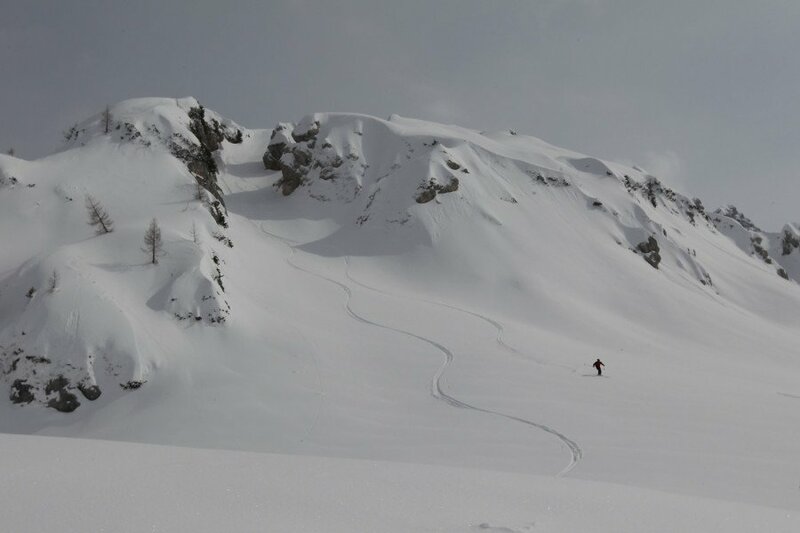 Besides Freeriders can access an amazing terrain for back-country skiing. For the tired, hungry and thirsty there are numerous possibilities to take a rest at one of the lodges next to the slopes and to get some snacks and hot drinks. After skiing you can do ice skating or relax at the indoor swimming pool. 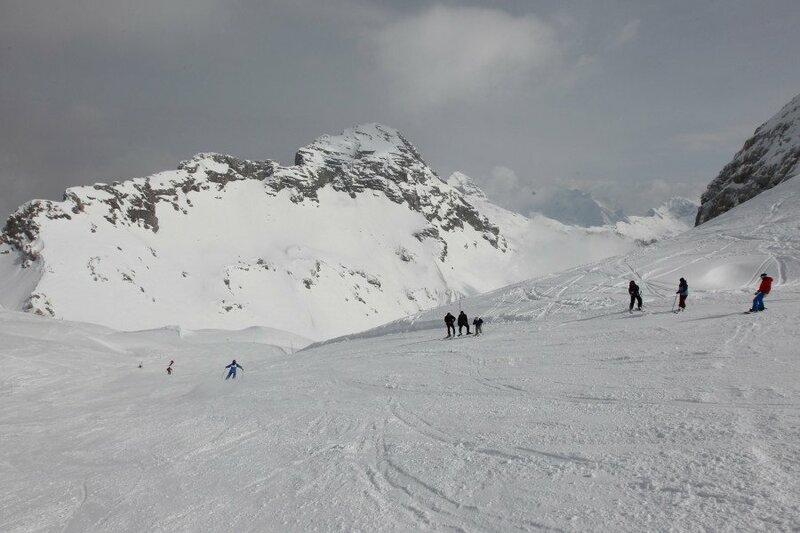 There are also many other activities like for example snowshoeing, ski-touring or dogsledding. From Italy you are arriving from Udine via the freeway A23. Leave it at the exit Carnia - Tomezzo and then follow the SS13 as far as you reach Chiusaforte. From there you keep with the signs that lead to Sella Nevea (SP76). From Austria you take A23 till Tarvisio. First of all you follow from here the SS54 and then the SP76 to Sella Nevea. Coming from Austria you follow the A10 to Villach. There you change to A2 which crosses the italian border shortly after you passed Arnoldstein. At Tarvisio you leave the freeway and follow the SS54. You cross the slovenian border at "Lage del Predil". From there the street 203 leads to Bovec.